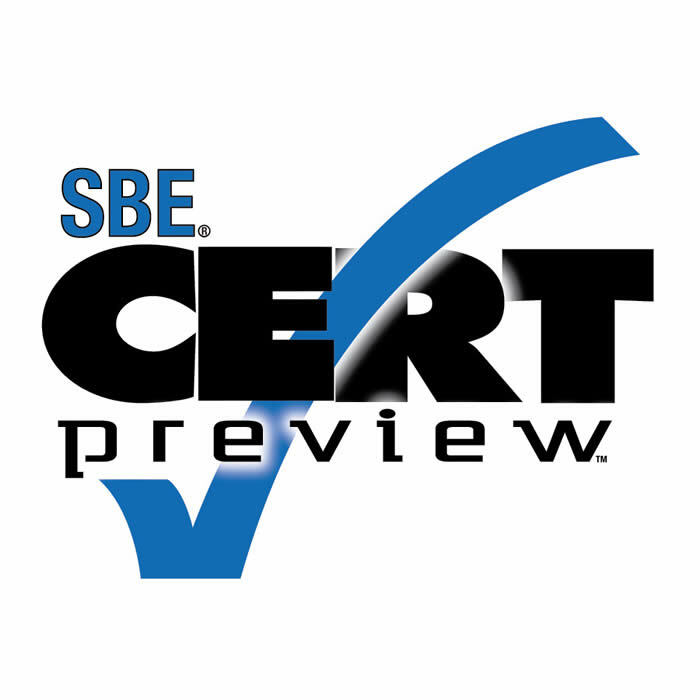 The new SBE CertPreview will be a download from the SBE website or you may choose to have the CD mailed to you. The program will be installed onto your computer and will be machine specific. The program is available for Windows only. Each sample test contains 50+ questions typical of those found on an actual exam. You will take the exam in its entirety and be able to mark and review questions before scoring your sample exam. By scoring the exam, you will be given a percentage and a breakdown of categories contained within the exam. This will help you identify your strengths and weaknesses. You will also be able to revisit questions that you answered wrong. Certified Broadcast Networking Technologist (CBNT) - No experience required Covers a variety of networking knowledge and skills common to various networks. Not software specific. Digital Radio Broadcast Specialist (DRB) - You must first hold a 5-year, 10-year or 20-year certification. The purpose of the Certification exam is to permit you to demonstrate your comprehension of the prescribed body of knowledge for your particular experience level and field of specialization. The exams consist of 50 multiple choice questions drawn from a file of several hundred questions, ranging from basic electronics to state-of-the-art maintenance problems. All exams are conducted OPEN BOOK, and calculators are allowed. Working engineers on the SBE Certification Committee develop the questions.